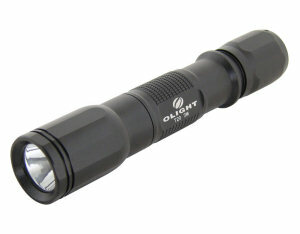 My new acquisition is the OLight T20M 5W. I wanted something as bright as my Surefire, but to be able to dial it down when I didn't need quite that much light. The OLight T20 is even brighter than the Surefire when set at max, 210 lumens, with four times the battery life with the same C123s (90 minutes vs 20 for the 120 lumen Surefires), 70 hours at 10 lumens, and has a memory function so it recalls the last set brightness. The electronics keep brightness high until the batteries are depleted. In addition, it has a strobe function that can make it a devastating defense weapon. I tried it on myself, and the strobing 210 lumens completely disoriented me, even in indoor light, and left me dazzled for about two minutes. It would make a great addition to any hand to hand encounter with a bad guy. The price is reasonable, and includes a lanyard, a snug, well-crafted holster and spare gaskets for the switch. This is my second OLight. One of their greatest bonuses is that they accept user feedback and incorporate upgrades into each new model. The downside is you have to keep buying new lights. However, I feel it's worth having a good tactical light in each vehicle, room, and on your person for emergency use. My preferred source for lights is Flashlight Outlet. Larry really knows the subject and provides exceptional customer service.